It's officially official. 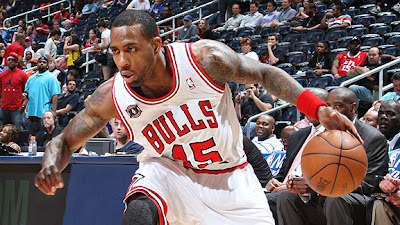 The Pietrus deal is dead but the Toronto Raptors announced today that they signed former Chicago Bulls swingman, Rasual Butler. Butler played for both the Los Angeles Clippers and Chicago Bulls last season including three games with the Bulls in last year's playoffs. He averaged 10.7 ppg in 47 games last season. And for now, it looks like the Raps will be standing pat by not making a lot of major financial moves and just fill in the holes this season. In other Raptors-related news, according to @WojYahooNBA, the Raptors have sign 7'0" big man, Aaron Gray to a one-year deal. And according to The Star's Doug Smith, the Raps will be looking to add some veteran leadership with 36 year-old point guard, Anthony Carter. Coach Casey likes the addition of Butler and Carter to bring some experience to the young roster.